Effective community policing has a positive impact on reducing neighborhood crime, helping to reduce fear of crime and enhancing the quality of life in the community. It accomplishes these things by combining the efforts and resources of the police, local government and community members. Community policing is a collaborative effort between the police and the community that identifies problems of crime and disorder and involves all elements of the community in the search for solutions to these problems. It is founded on close, mutually beneficial ties between police and community members. 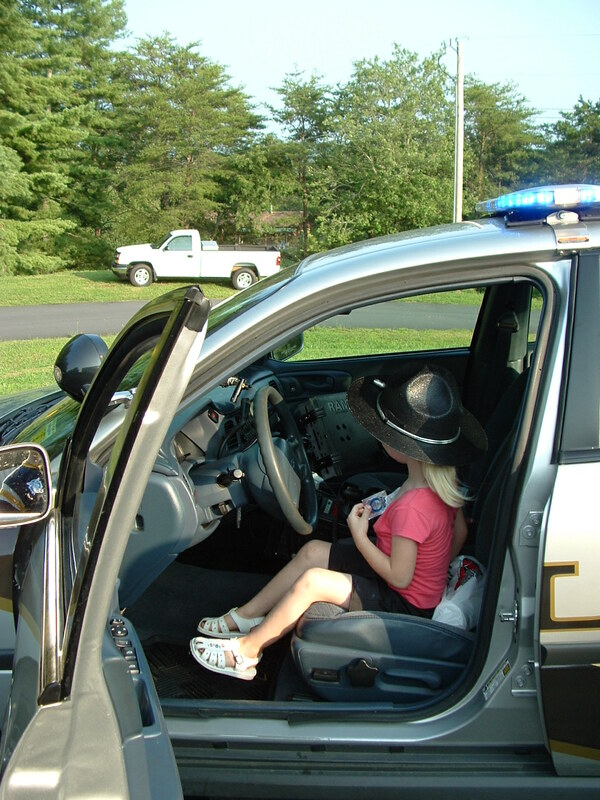 Community policing offers a way for law enforcement to help re-energize our communities. Developing strong, self-sufficient communities is an essential step in creating an atmosphere in which serious crime will not flourish. The Town of Murphy Police Department is actively involved in numerous Community Policing Programs and events, and feels that these are the ways to better serve our community. First allow me the time to thank you for showing interest in the Neighborhood Watch Program in Murphy. Neighborhood Watch shows concerned residents how to look out for each other’s safety, and help law enforcement officers protect people and their homes against criminals. Working together, neighbors can learn how to protect each others property, while increasing personal safety and reducing the risk of being victimized. We cannot fight crimes that are not reported! When citizens are alert and report incidences we can be more effective against crimes. Our goal is to provide the highest level of police protection and make our town a more safer place to live and work. Below are a few helpful tips that may be of service to you and your family. Please remember do not hesitate to contact me, if I or the agency can be of any assistance to you and your family. A stranger entering a neighbor’s home or apartment that appears to be unoccupied. Anyone looking into parked vehicles, or removing parts, gasoline, or license plates. Breaking glass, gunshots, screams or abnormally barking dogs. Anyone going door-to-door who tries to open a door, or goes into a backyard. Anyone carrying unwrapped property at any unusual time, or running while carrying the property. Any vehicle cruising slowly back and forth in your neighborhood. Any abandoned vehicles in your neighborhood. Windows or doors that are broken or opened at unusual hours. Anyone sitting in a parked vehicle especially at an unusual hour. 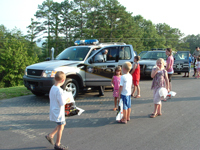 In December of 2003 the Town of Murphy Police Department launched its Bike Patrol Program to strengthen its Community Policing Program as well as provide additional officer presence in specific locations and establish a unique way to interact with the community. The launching of the Bike Patrol Program was made possible after receiving 4 Trek Mountain Bikes from the Virginia Beach, VA Police Department. The Town of Murphy Police Departments Bike Patrol Units have been equipped with the most up to date equipment and warning lights/siren, while the units patrol officers are qualified to safely operate and patrol on these bikes. As people grow older, their chances of being victims of crime decrease dramatically. But a lifetime of experience coupled with the physical problems associated with aging often make older Americans fearful and trapped in their own homes. Though they're on the lookout constantly for physical attack and burglary, they're not as alert to frauds and con games - in reality, the greatest crime threat to seniors' well being and trust. Want to conquer fear and prevent crime? Take these common-sense precautions. Go with friends or family, not alone. Carry your purse close to your body, not dangling by the straps. Put a wallet in an inside coat or front pants pocket. Don't carry credit cards you don't need or large amounts of cash. Use direct deposit for Social Security and other regular checks. Keep car doors locked, whether you're a passenger or driver. Be particularly alert in parking lots and garages. Park near an entrance. Sit close to the driver or near the exit while riding the bus, train, or subway. If someone or something makes you uneasy, trust your instincts and leave. Install good locks on doors and windows and use them. Don't hide keys in mailboxes and planters or under doormats. Instead, leave an extra set of keys with a neighbor or friend. Ask for photo identification from service or delivery people before letting them in the door. If you are the least bit worried, call the company to verify. Be sure your street address number is large, clear of obstruction, and well-lighted so police and other emergency personnel can find your home quickly. Consider a home alarm system that provides emergency monitoring for burglary, fire, and medical emergencies. Don't fall for anything that sounds too good to be true — a free vacation; sweepstakes prizes; cures for cancer and arthritis; a low-risk, high-yield investment scheme. Never give your credit card, phone card, Social Security, or bank account number to anyone over the phone. It's illegal for telemarketers to ask for these numbers to verify a prize or gift. Don't let anyone rush you into signing anything — an insurance policy, a sales agreement, a contract. Read it carefully and have someone you trust check it over. Beware of individuals claiming to represent companies, consumer organizations, or government agencies that offer to recover lost money from fraudulent telemarketers for a fee. If you're suspicious, check it out with the police, the Better Business Bureau, or your local consumer protection office. You can also call the National Consumers League Fraud Information Center at 800-876-7060. Report all suspicious activities to the Town of Murphy Police Department. 828.837.2214 or remember 9-1-1 for EMERGENCIES. The North Carolina Law Enforcement Torch Run® for Special Olympics unites officers from law enforcement agencies and corrections departments across the state in an effort to raise funds and awareness for Special Olympics North Carolina The Torch Run efforts to raise funds include: collecting corporate sponsorships, T-shirt and hat donations and hosting unique fundraising events such as building sits, polar plunges and golf tournaments. Each summer, law enforcement officials carry the Flame of Hope across the state in The Torch Run Final Leg, culminating in the lighting of the cauldron to officially open the Special Olympics North Carolina Summer Games in Raleigh. The 2,000-mile, 16-day Torch Run Relay involves more than 4,000 law enforcement officers and personnel representing more than 400 law enforcement agencies across North Carolina. 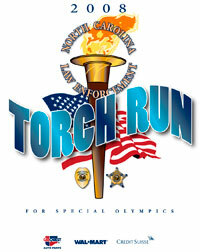 The Law Enforcement Torch Run® for Special Olympics is officially endorsed by the International Association of Chiefs of Police, the North Carolina Association of Chiefs of Police, the National Sheriff's Association, the North Carolina Sheriff's Association, the International Association of Campus Law Enforcement Administrators, and the National Association of School Resource Officers. Contact the Murphy Police Department and get yours today! Each year the Town of Murphy Police Department and our local Wal-Mart team up together to participate in the annual Shop with a Cop Program, benefiting local area children and families. The establishment of this program began in December of 2004, after the Murphy Police Department received a special Holiday Grant from Wal-Mart. Each year since the program has began it has grown to new numbers, with an out pour of community support from other businesses, organizations, and generous donations from individuals. Murphy Police Officers get to share the wonderful joy of Christmas, by escorting children to Wal-Mart where they receive a gift card to purchase presents for themselves; but often times prove that the children purchase gifts for their families. The Murphy Police Department welcomes all donations to aid and assist in continuing this program. 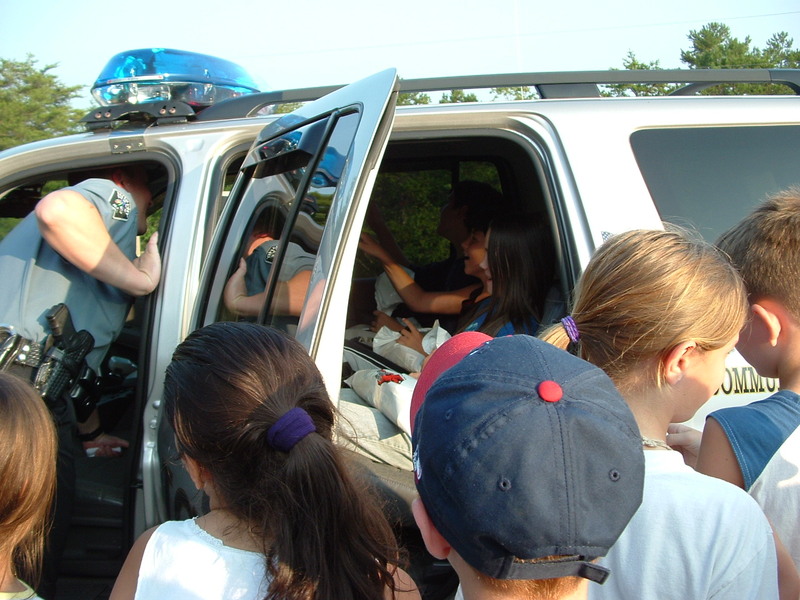 The Town of Murphy Police Department is always happy to take part in community events, and functions educating our community about our line of work, ways to reduce being victimized by a crime, to safety issues and lessons. 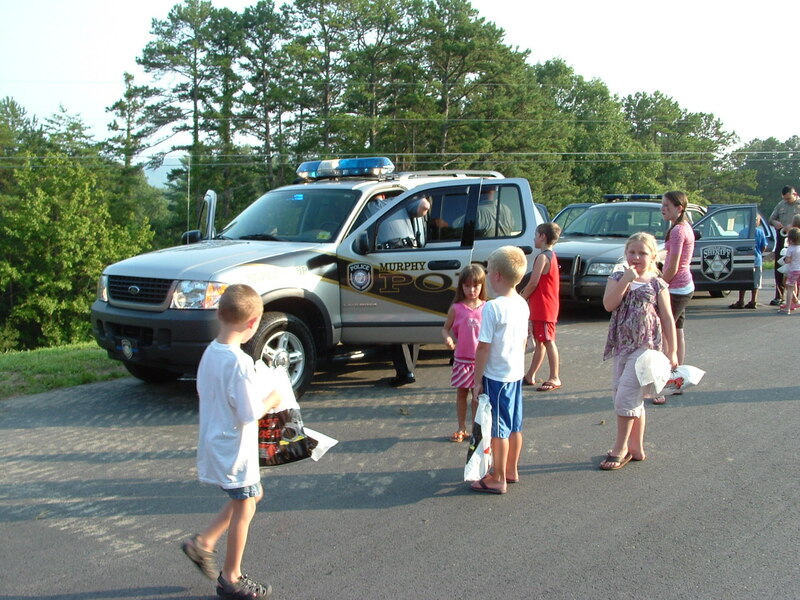 Chief Justin J. Jacobs at the Town of Murphy Police Department- (828) 837-2214.